At Mette's Cabinet Corner, we understand that building or remodeling a home is a big decision. We want to help you to design rooms that fit all your needs. That is why we offer quality products and services at affordable prices. We carry a large selection of products for your home or office. We are the only local business building both custom cabinetry and custom granite and quartz countertops in the same facility. We also offer stock cabinetry, solid surface and laminate countertops, custom showers, walk-in tubs, and kitchen and bathroom accessories. When customers choose Mette's, they not only receive a quality product, they receive a full range of services including job-site measuring, designing, laser templating, and installation. 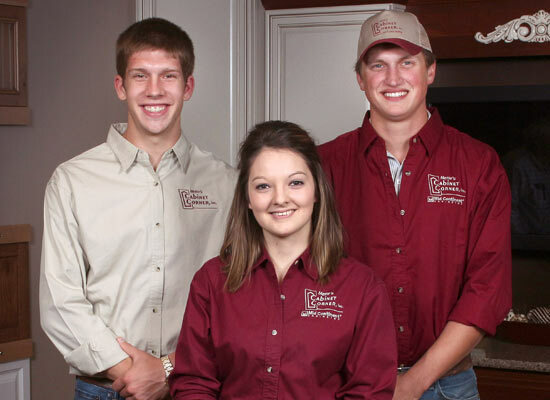 Because Mette's Cabinet Corner is family owned and operated, you can expect a unique hands-on approach to all your projects. We will know you by name and take the time to understand your individual needs. We have design specialists on staff who are trained to work with building industry professionals as well as homeowners to ensure the perfect outcome every time. Our full service starts with measuring and designing, and can continue with a complete installation. With over 35 years in business, Mette's Cabinet Corner takes pride in offering the highest quality products and personal service to the discriminating buyer. Mette's Cabinet Corner strives to be the number one destination for quality products, professional service and competitive prices in the kitchen and bath industry. We want to thank all our customers for their support. It is because of our great customers and their continued support that we are able to continuously grow and serve Central Illinois. We are humbled by the vast number of customers who come in because a friend or neighbor recommended us. We know this is the best form of marketing and we will always do our best to ensure that our customers love the products they purchase and they are pleased with our service. 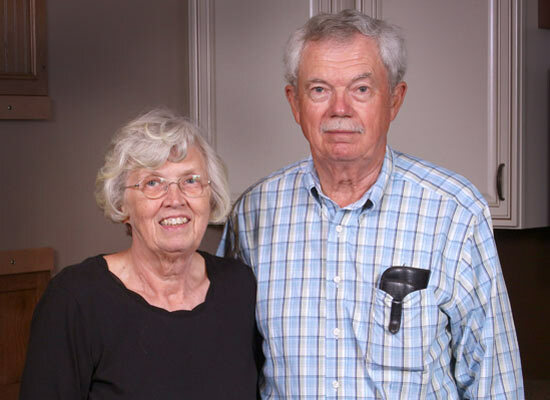 John and Janice Mette started Mette's Cabinet Corner in 1981. Eventually, their children Julie, Don, Bob, and Alan all joined the business. The business first opened on Charleston Avenue in Mattoon. In 1985, Mette's Cabinet Corner moved to Effingham in what used to be known as Dusty's Steakhouse, across the railroad tracks from Bob's Salvage. Then, in 1990, they made the move to the Lincolnland Building in Effingham, with the shop and warehouse located in Teutopolis, behind the home of John and Janice. 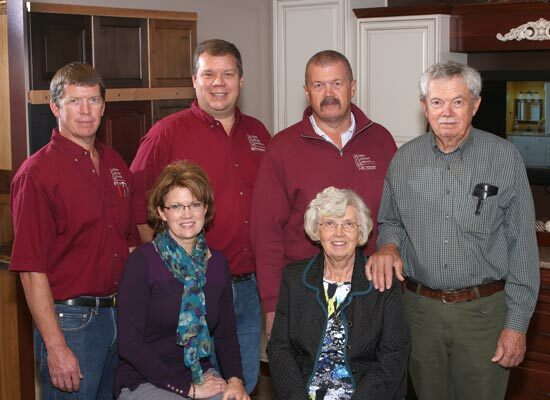 In 2000, after many moves, the Mette family built a new showroom, warehouse, and shop in the present location. Today, the business is constantly growing and adapting to new technologies that have been introduced to the industry. The seven different machines that are computer-controlled are an indication of the constant growth. The machines are complemented with portable laser templates that go to job sites to allow for precision fabrication of material. With over 30 years of business, we know that even with the finest machines we would be nothing without the great people who work hard to support our customers' needs. What started out as John and Janice putting in late nights alone has grown into over 40 trusted and hardworking employees who are dedicated to serving the needs of Mette's Cabinet Corner's growing customer base. There are no guarantees in life, but with our strong faith and family values, we hope to be able to continue to provide area homeowners with quality spaces where their families can love and grow for many years to come. We are excited to say that we have plans to continue to expand our shops and we will continue to adapt and grow.